I just found out about Plum Organics baby food recall this morning. The company released a statement on Friday stating that they are voluntarily recalling specific Baby Stage 2, Tots Mish Mash and Kids line Plum pouch for potential spoilage due to a manufacturing defect that may cause some pouches to swell. 2) Send an email to info@plumorganics.com with subject line, “Replacement Voucher,” and the following information: first & last name, full address (street, apt #, city, state, zip code), phone number, Best By date, and number of affected pouches. 3) Contact Plum Organics at (866) 495-3774. 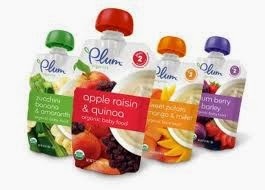 For images on how to read the pouch products, please go to Plum Organics Recall Press Release.